The Chicago Federation of Musicians is an organization of two thousand professional musicians. 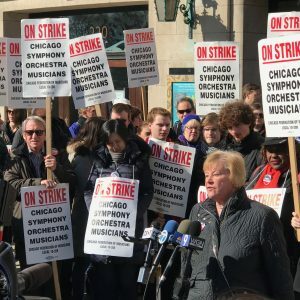 For more than 100 years, the CFM has been working to ensure fair pay and working conditions for musical artists. 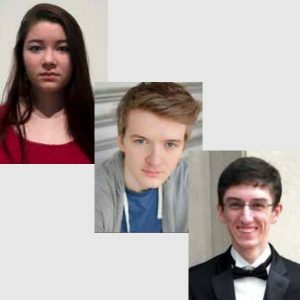 Our members perform in the Chicago Symphony Orchestra, the Lyric Opera Orchestra, The Chicago Sinfonietta, the orchestras for Chicago’s Broadway shows, and many, many other ensembles. We represent musicians performing all styles of music: rock, soul, pop, classical, jazz, alternative, country, world, reggae, Christian rock, and others. Our members are active in recording popular music, commercials, television, and radio programs. We also perform for private and corporate events both locally and throughout North America. We are a local of the American Federation of Musicians with 100,000 members nationwide, Our members are connected and informed on legislative issues, job vacancies, and health & welfare concerns which are discussed in publications, online, and in other forums available to members.